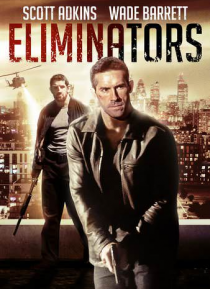 When his home in London is attacked, a former federal agent (Scott Adkins, Doctor Strange) must come out of hiding of the witness protection program to protect his daughter. With his true identity exposed to the criminal underworld, he goes on the run with Europe's most dangerous assassin on his trail and must use every trick he knows to keep his family alive. Also starring Wade Barrett, ELIMINATO… RS is a fast-paced, edge-of-your-seat thrill ride.